Headquartered in Kingston, New York. 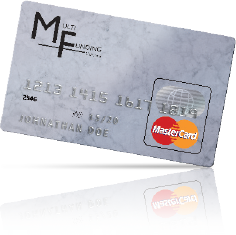 Multi Funding USA is a specialized lawsuit funding company offering legal funding, attorney funding and law firm funding. With decades of lawsuit funding, business and legal experience, our founders have made it their focus to provide simple and fast lawsuit funding services to clients while maintaining a high standard of excellence. To date, Multi Funding USA has provided millions of dollars of legal funding to plaintiffs and attorneys throughout New York, New Jersey, Connecticut, Vermont, Texas, California, Florida, and Washington. At Multi Funding USA, we understand the burden that plaintiffs face, often finding themselves in financial distress while they await receipt of their settlement. Hence, we take their needs very seriously. We realize that unfortunate circumstances require immediate relief and have developed a system that can put money in the hands of the plaintiff in as little as 24 hours. Clients can use Multi Funding USA with confidence. We are a direct source for all legal funding services and we never utilize a third party. Our on-hand capital and our in-house legal department allow us to expedite the application and funding process, allowing the funds to move quickly to where they will do the most good. Our practices have earned us the respect and recognition of the legal community and our reputation is well-known by attorneys who practice throughout the state of New York. In fact, attorneys and legal professionals turn to Multi Funding USA first when their clients require lawsuit funding services.